Stanley Ketchel is considered by some to be the greatest middleweight of all time. A natural fighter who was never formally trained, Ketchel propelled himself to fame and the middleweight championship in just six years. Sadly, his career ended when he was murdered at age 24. Ketchel's life often resembled a torrid movie script. Orphaned at fourteen, he ran away from his adoptive home and lived as a hobo, traveling through the Canadian and American West. In Butte, Montana, he worked as a bouncer and also took on all comers in fights at a local theatre. He fought his first recorded professional bout-a one-round knockout-in 1903. Ketchel lost only twice in his first 42 matches, all fought in Montana. In 1907, he went to California, where he won matches with several well-respected fighters, and by 1908, he had achieved national prominence. His twentieth-round knockout of Jack (Twin) Sullivan earned him the vacant world middleweight title. In his first three months as champion, Ketchel decisioned Billy Papke, and knocked out Hugo Kelly and Joe Thomas. In the rematch with Papke, the challenger punched Ketchel in the head as the fighters were meeting in the center of the ring to shake hands. The referee merely chided Papke, and the fight commenced. Still dazed by the illegal punch, Ketchel never seized control of the fight and was knocked out in the twelfth round. Six weeks later, Ketchel fought Papke with a savage fury and knocked him out in the eleventh, becoming the first middleweight champion to regain a lost title. In 1909, Ketchel fought some of the most memorable battles of his career. 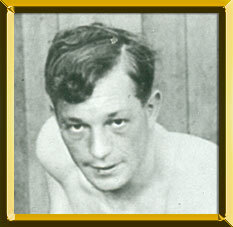 In a no-decision bout against light heavyweight champion Philadelphia Jack O'Brien, Ketchel absorbed a solid beating for six rounds, but came back to knock O'Brien down four times in the ninth and tenth rounds. The fight would have been a knockout if O'Brien hadn't been saved by the bell. In their rematch, Ketchel demolished O'Brien in three rounds. Feeling bold after his strong performances, Ketchel agreed to challenge Jack Johnson for the heavyweight championship. The champ far outweighed Ketchel and was at the peak of his career. For the first six rounds, Ketchel stayed out of Johnson's way. In the seventh, Ketchel caught Johnson with a stinging left to the jaw. Ketchel went on the attack in the eighth and on into the tenth round. Meanwhile, Johnson landed enough punches to bloody Ketchel's face. The moment of truth came in the twelfth round, when Ketchel pounded a right into Johnson's jaw that threw the champ off balance. To the roaring of the crowd, Johnson briefly sat down on the canvas but rose up enraged and blasted Ketchel with a right to the jaw. Ketchel, his mouth a ruin, fell and stayed down for the count. After the loss to Johnson, Ketchel continued to rack up victories. In 1910, determined to get another shot at the championship, he went to a ranch in Conway, Missouri to train. In this remote locale, the melodrama of Ketchel's life caught up with him. He died with a bullet in his lung, shot by a jealous hired hand who claimed the handsome prizefighter tried to steal his ladyfriend. The killer, Walter Dipley, was convicted of first-degree murder and served 23 years in prison. Had he not died, Ketchel might have accomplished much more, perhaps even winning the heavyweight championship. At it was, he built a great record as middleweight champion and recorded 49 knockouts in 64 fights.